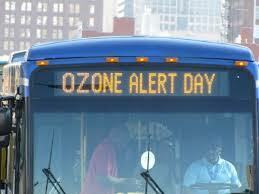 The Association of Central Oklahoma Governments (ACOG) is kicking off its Ozone Alert Day Season this week. And it comes as the agency expressed concerns the region will “likely violate federal air quality standards this year,” according to a news release. 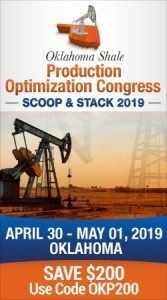 Eric W. Pollard, Clean Cities Manager at OCOG explained that last year the region exceeded ozone standards set by the Environmental Protection Agency on eleven different occasions. According to the Environmental Protection Agency (EPA) higher ozone levels correlate with increased asthma attacks and reduced lung function, increased hospitalization, and increased medication usage. In addition to informing the public about health risks, ACOG works to inform individuals and organizations on emissions reduction actions that protect public health. This year, ACOG will partner with the City of Mustang on the region-wide kickoff April 18, 10 AM at Mustang City Hall, 1501 N Mustang Road, with a goal of educating the public about air quality standards and actions they can take to improve air quality in the region. According to Pollard, the City of Mustang has taken a leadership role in advancing measures to reduce emissions on Ozone Alert Days. Mustang’s City Manager instituted a policy that city crews not mow city property on Ozone Alert Days.